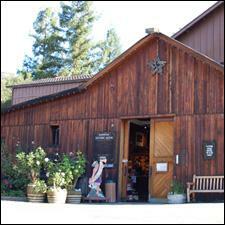 Kenwood Vineyards is known for its Artist Series Cabernet and good-value Sauvignon Blanc, among other wines. In an exclusive interview with Shanken News Daily, F. Korbel & Bros. president and owner Gary Heck and Banfi Vintners COO Marc Goodrich confirmed that Banfi has signed a letter of intent to acquire Sonoma County-based Kenwood Vineyards from Korbel. Kenwood, founded in 1970, makes wines priced from $9 to $70, from 22 acres of estate vineyards, as well as from other fruit sourced from throughout Sonoma County. Among its best-known wines are its Artist Series Cabernet Sauvignon and its Sauvignon Blanc. The deal would include Kenwood’s estate, winery, vineyards and all other assets. Banfi plans to integrate the Kenwood sales team into the Banfi organization, placing the brand into the same portfolio as Riunite, Castello Banfi, Bolla and the other brands in Banfi’s stable. The purchase price was not disclosed. F. Korbel & Bros retains a portfolio that includes Korbel sparkling wine and California brandy, as well as Valley of the Moon, Lake Sonoma and other smaller labels. Heck plans to focus his efforts on the Korbel brand. “After its worst recession in 70 years, the California wine industry has emerged in pretty good shape, so I thought this was a good time to explore the sale of Kenwood,” said Heck. For the full story, visit Shanken News Daily.